Despite the referendum result the UK is still in the EU for now. All EU VAT rules including those around intra-community supplies of goods and services, and the reporting obligations such as EC Sales List still apply. There is no need to change anything in your tax solutions at this point. All things being equal the process to exit will not start until the UK government officially notifies the EU of its intention to leave by invoking Article 50 of the EU Treaty of Lisbon. This will only happen once a new Brexit-friendly UK leadership is determined in October or November this year. Once Article 50 is invoked the UK and the EU then have 2 years to negotiate the terms of a separation, so a full exit can be expected in late 2018. However, all things may not be equal. Rumblings from the EU are telling the UK to get on with it sooner, while simultaneously within the UK other rumblings are saying that Scotland has the right and may block the government in Westminster from invoking Article 50, or that constitutionally a second referendum is needed. The likelihood is that these rumblings and others are just that, rumblings, and that the UK will exit the EU within reasonable shooting distance of the official timetable. What immediate actions are recommended? This does not mean there is not work to be done. Solution-wise, the geo-political / jurisdictional information is the most basic of basic masterfile setups and is therefore likely to be one of the oldest. Within ERP it is part of the shared data bedrock for almost all functions, rarely changes and therefore organizationally may not be owned any one group. This may give rise to 2 issues; firstly that something like EU membership is not date bounded, and secondly that no one single functional group has overall responsibility when performing due diligence and quality assurance for changes in its structure. It you are running one of the newer tax engines where the vendor also provides content, you will not have this issue, at least for tax determination. However, if your solution also relies on the setup in ERP, for example for tax reporting, then you may be in the same boat as other functional groups in terms of dependency on this data. In Oracle for example, the default setup for Territories stems from the earliest days of Oracle Applications and even after many “new” releases, the need for an upgrade path means that even in Oracle eBusiness Suite Release 12 core elements remain almost unchanged in structure from its original form and is not properly date bounded. It may be in your specific case that EU membership status is not held here, or that when 10 countries acceded to the EU on 1 May 2004 that a start and end date mechanism was introduced and propagated throughout the solution, but in any case now is the time to check it out. Those that have taken part in the first rollout wave of global tax engines will be in better shape. EU membership plus the post-exit tax UK rules will be supplied as content and be transparent. There is a good chance that you may not even need new Tax Codes as the UK will most likely end up trading with EU countries in exactly the same way as it does today with the rest of the world. 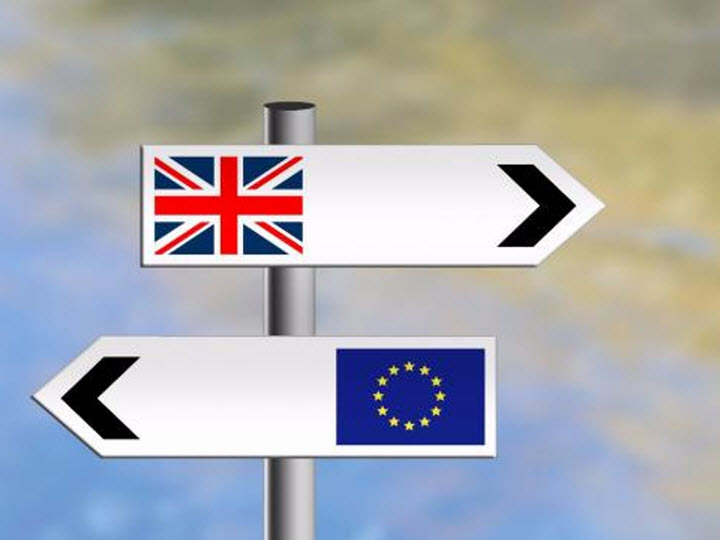 In a well constructed solution, the UK’s EU related Tax Codes will be end-dated at the true date of EU exit and will remain active only for billing adjustments that relate to transactions that occurred before that exit date. This is a best case scenario and will be a huge reward for having the wherewithal to implement a comprehensive and robust solution with clean modularization, single source of truth and conceptual integrity in its design in the first place. However, it will be different should Scotland achieve independence from the UK and either remain in or rejoin the EU in the next few years. While this possibility might seem remote right now, even the best constructed solution will need a good overhaul to ensure that in this event all consequences are covered.